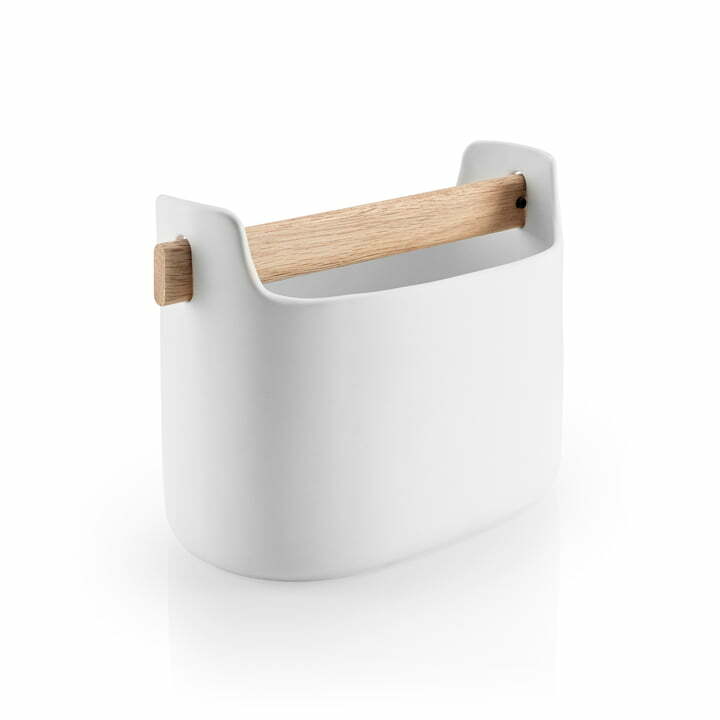 The Toolbox by Eva Solo can stylishly bring order to every room. The box with a smooth wooden handle that creates a partition, is available in two different sizes and is completely versatile. Many different things can find a place in the low Toolbox. In the bathroom, the box can serve as a vanity case in which makeup tubes and pots can be kept. 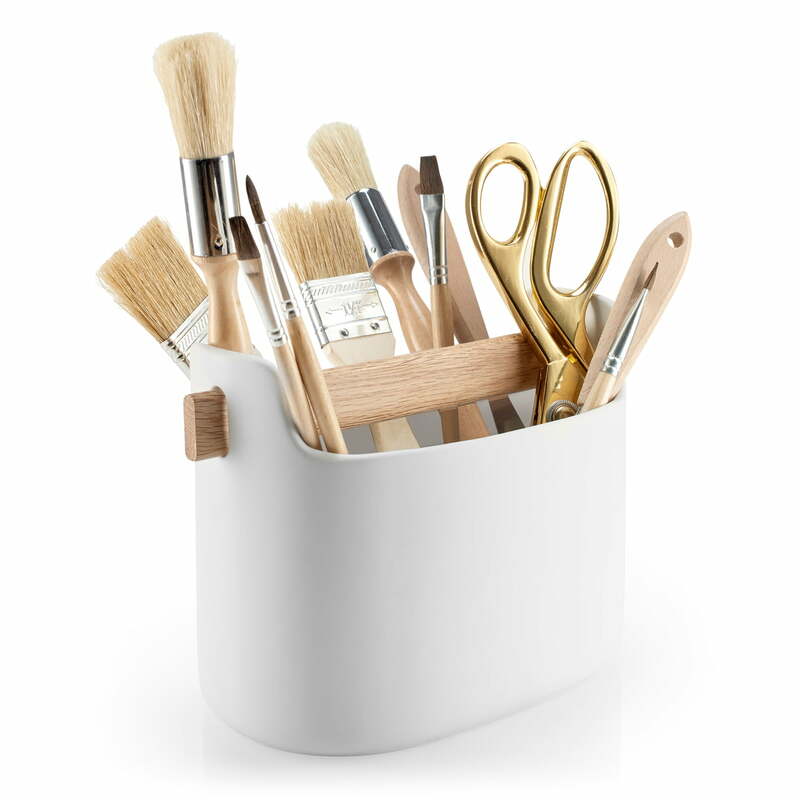 As a crafts box, there is space for paint brushes, paint tubes, scissors and rulers. A variety of household cleaning equipment could also neatly be stored in there—shoe polish and brushes for example. 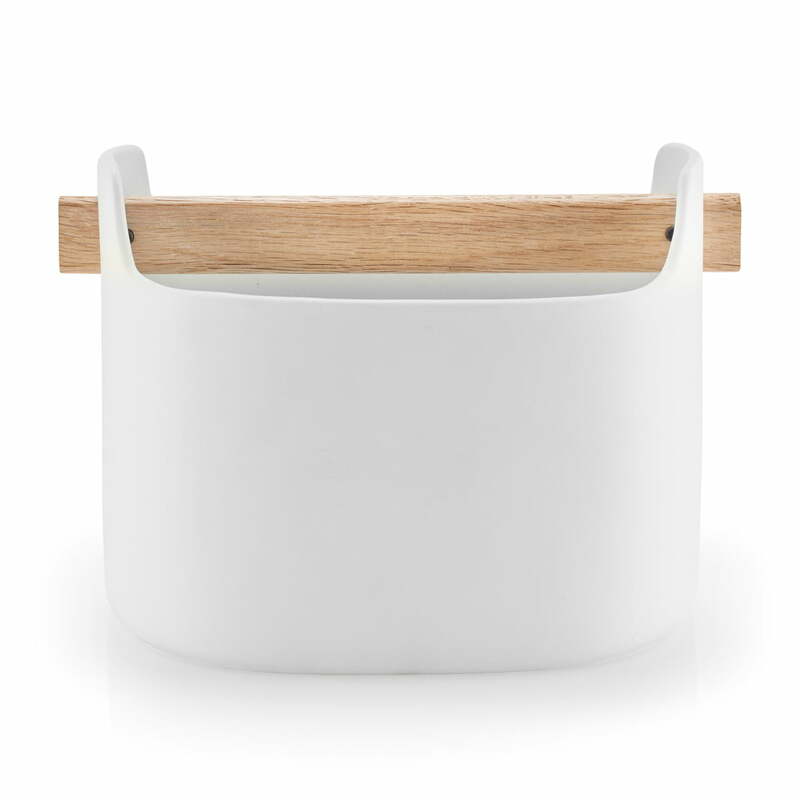 As a crafts box, there is space for paint brushes, paint tubes, scissors and rulers. A variety of household cleaning equipment could also neatly be stored in there—shoe polish and brushes for example.